Schapira’s Coffee and Tea Company has one goal: to produce the Best Coffee in the World. Now that’s a subjective matter, we know, but we think we are close. Fine, excellent, superb coffees. Great Coffees come from excellent beans and a masterful touch at the roasters. Add to that maximum freshness because of immediate packaging in vacuum sealed bags, and you have Great Coffees. Our quality is in our caring and our craftsmanship. 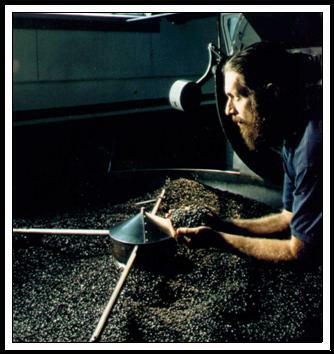 Master Roaster Bob Rivkin learned the business from company founder Joel Schapira, who had come to Hudson Valley Region of New York State from NYC. The Schapira family had been roasting and selling coffee since the early 1900’s. Since the late 1970’s Schapira’s has been roasting and selling the finest coffees available, serving elegant restaurants and hotels, coffeehouses and coffee stores, and discerning individuals. We combine outstanding knowledge of the coffee industry, a roasting technique featuring the nose, pallet and eyesight of our roasters, and state of the art packaging equipment. And it is this care in roasting that matters most to the coffee drinker. We offer wholesale coffee under our own name or we can package coffee for your labels and your product line. We have a wide variety of coffees from the world over and we have blends and roast techniques for almost all tastes. If you have interest in our products or perhaps a sample, you should give us a call 518-398-7100 or drop us an email at pam@schapira.com. We are a small company, and we answer our own phones. And we love coffee.